Tuck into these delectable cakes guilt-free - they're completely vegan! Looking at her cakes alone is enough to make a meat-lovers mouth water. Vegan-friendly food is often thought to be bland and boring vegetable concoctions that do little to nothing to satisfy the taste pallets. One chef is out to change that notion with her confectionary creations – which looking at alone is enough to make a meat-lovers mouth water. Juliana, from Berlin, has been a vegan for the past 15 years and shares her colourful ensembles on her Instagram page, @culinarydots. Her cakes, which she sells at food markets, cafes and online, are made from nuts, raw dry fruits, avocados and coconut creams, amongst others. 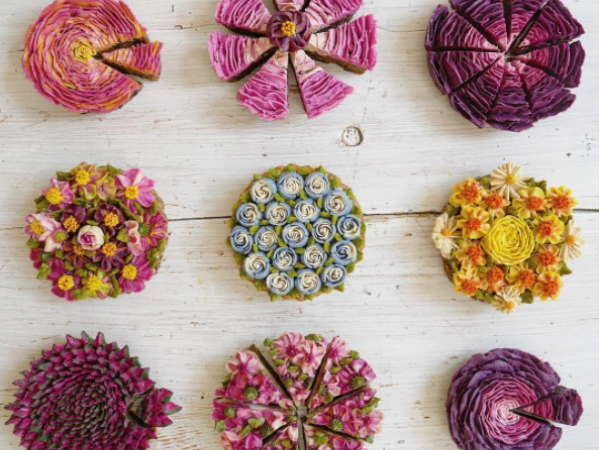 Her toppings are made from raw marzipan, edible flowers, coconut shavings and fruit.